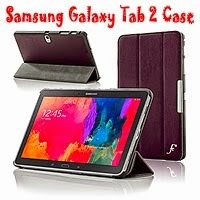 Forefront Cases smart cover is designed specifically to fit and protect the Samsung Galaxy Tab. The case's inbuilt auto sleep / wake function will put your tablet to standby or wake it up by simply opening or closing it. With precision cut outs all the cameras, microphones, buttons, connections and speakers remain fully accessible. No reason to remove your Samsung Galaxy Tab PRO 10.1 for any function such as video calling, FaceTime, watching videos or listening to music. Its unique folding design allows for vertical, horizontal and typing position and suitable for watching videos, listening to music, web browsing, typing and much more. 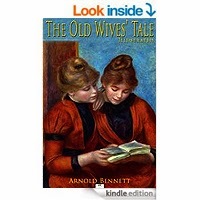 The Old Wives' Tale deals with the lives of two very different sisters, Constance and Sophia Baines, following their stories from their youth, working in their mother's draper's shop, into old age. It is generally regarded as one of Bennett's finest works. Bennett claimed he was inspired to write the novel upon seeing a particular older woman: "This woman was once young, slim, perhaps beautiful; certainly free from ridiculous mannerisms. Very probably she is unconscious of her singularities. Her case is a tragedy.